Information and “how-to” for shoreline property owners. There are a couple of opportunities for lakeshore residents this spring to learn about innovative practices to protect their shorelines now and in a changing future climate. One is a local workshop in Oakland County and the other is a statewide conference. 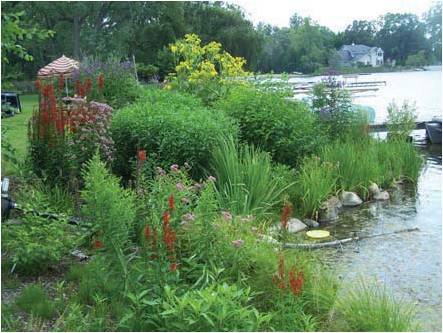 The local workshop on natural shorelines, Creation, Restoration, and Management of Natural Shoreline Landscapes on Michigan Inland Lakes is being held on Saturday, March 17, 2012, 9 am- 12:30 pm, at the Independence Oaks County Park, Wint Nature Center in Clarkston. See the workshop flyer for more information and to register by the March 9 deadline. For those interested in more detailed technical information and broad-ranging discussion on a number of shoreline-related topics, the 2nd Annual “Shoreline and Shallows” Conference may be for you. The conference will be held in Lansing on Wednesday, March 7. Visit the Michigan Natural Shoreline Partnership’s website for more information on the conference. Register by March 1.